He won’t send ground troops to fight ISIS, but the war between Barack Obama and the Clintons is heating up. That is not President Obama going after George W. Bush. Twenty years puts him back in the Clinton Administration. This comes on the heels of a State Department inspector general report accusing Hillary Clinton’s State Department of rampant mismanagement. Barack Obama is no fool. He sees what is going on. For Hillary Clinton to win in 2016, she has to convince Americans that big government did not fail them, just Barack Obama failed them. She has to throw him under the bus. That’s why we’re seeing Clinton allies like Leon Panetta throw the President under the bus in his foreign policy handling. They’ve got to make it about him. See Full Scorecard6% seems intent on running as an outsider. 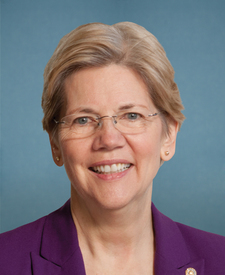 She’s gone so far as to accuse President Obama’s economic team of protecting Wall Street. But who was Obama’s economic team? For a good portion of time it was headed by Larry Summers who, you will not be surprised to learn, worked for the Clintons first. This has all the makings of a soap opera. The post President Obama Declares War — On the Clintons appeared first on RedState. Why Not Close the Border?